6/23/14 Update: We now have ONLY 9 STATES LEFT!!! We are still seeking stories from: Delaware, Hawaii, Maine, Montana, Nevada, Oregon, Utah, Vermont and Wyoming. 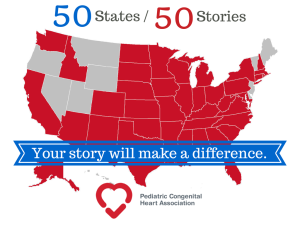 We are uniting our voices to fight for more data, more research and better transparency of quality information in order to Conquer Congenital Heart Disease. The goal: to send every single Senator a personal story about CHD, along with information highlighting our serious concerns about data, research and quality. 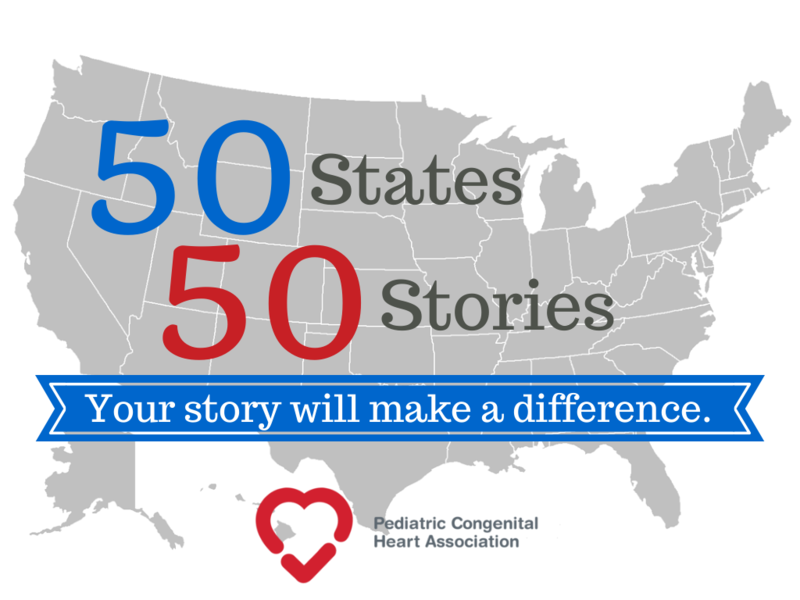 In order to do this, we have launched the 50 States, 50 Stories Campaign. By August 1st, we need stories from all 50 states. More than one story from a state? No problem, we’ll use them all in one way or another! You’ve told your story to friends and family. Perhaps you’ve even told your story on FB. It can be very intimidating to share your story on a larger platform. But, think of the huge difference it will make. Share your story on our website: Simply click here! We will do the rest. We will contact you to let you know that we got your story and talk about different ways we can use the story. We will edit the story and send it along to your lawmakers. You will have input every step of the way. Add as much or as little identifying information as you would like. Some people like to use their first and last name, others just a first name. Some like to include pictures, others do not. Do whatever you feel most comfortable with. Share your story and make a difference today!! I was talking with someone yesterday how Facebook is such a great opportunity for people to connect with each other and talk about CHD. One of my favorite parts about these groups are when someone introduces themselves, briefly shares about their child and sometimes includes a picture. It opens the door for a bit of vulnerability and a whole lot of healing. 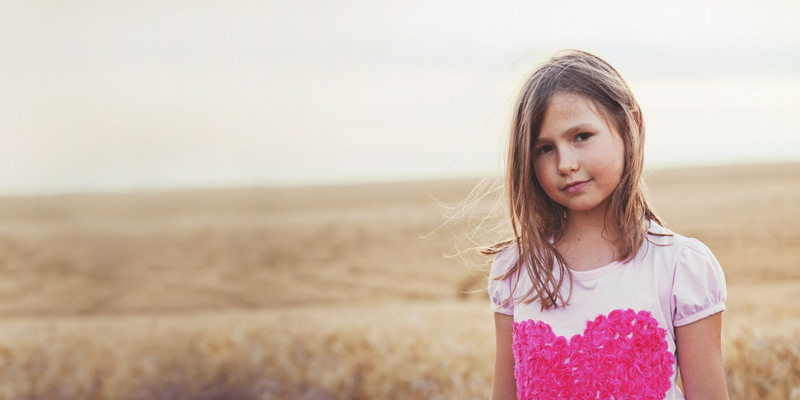 There is an urgent need in the CHD community. A need for more data, more research, and quality standards. Here at PCHA, these are our top priorities. But, we can only do so much on our own. We need you. We need you to tell your story. 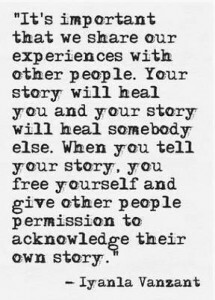 Your story is a very powerful tool. It is easy for lawmakers and doctors to get caught up in the numbers or ignore them all together. We need to work together and put a face to these problems. 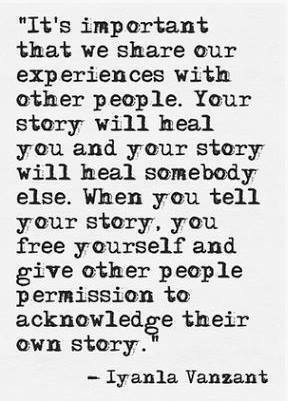 Sharing your story is safe and easy. We’ll do the hard work. Share your story here. That’s it. We’ll contact you to talk more about how we can use this story. We can post it on our blog to inspire others. We can include it when we connect with lawmakers in your state. We won’t do anything without your permission first. Today’s guest post is from Margaret, mom to Kieran, where she describes her struggle to overcome the conflict between reality and her spiritual faith. PCHA does not endorse any specific faith or religion. Whatever your beliefs may be, hopefully you can relate to the resolution this mother finds in appreciating the hope and comfort she finds in her faith. It was an April Monday, the day after Easter. My son pulled on his red rubber rain boots and raced to the door. 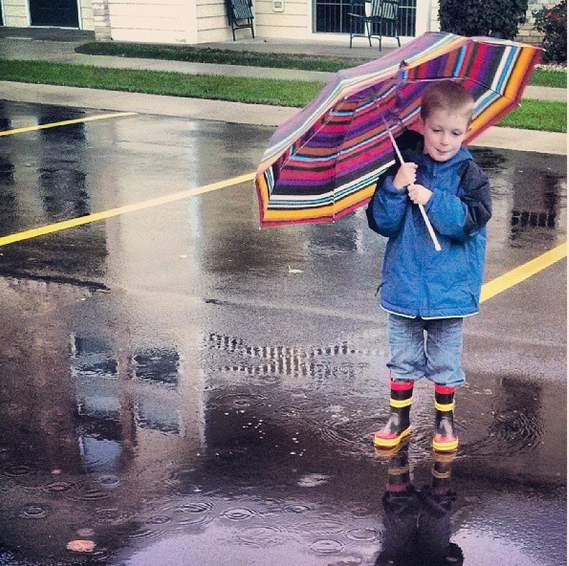 “Mom, can I have the colorful umbrella?’” he asked me excitedly. Even though it was still raining outside, we put our umbrellas up and went for a spring walk. At 5 ½ years old, there’s little my son likes to do better than take a walk in the rain as if he’s a born romantic, a natural Paris-in-the-rain type of guy. He carries an umbrella only because I require it–otherwise he loves getting soaked to the bone. I can picture him in London, getting drenched but saying, “just a drizzle!” As I watched Kieran hopping through puddles and saving worms from the well-trafficked driveway to our building, his rainbow-colored umbrella twirling against the darkened sky, my thoughts rewound back through time to an Easter 6 years ago now, when my husband and I had just found out our son was going to be born with HLHS. I won’t recap that story here, but you can read more about HLHS and our first years here. In retrospect, change is always happening when we experience new life events, even if we don’t notice the tectonic shifts beneath our feet at the time. Sometimes only looking back allows us to see how fleeting those times in life really were. 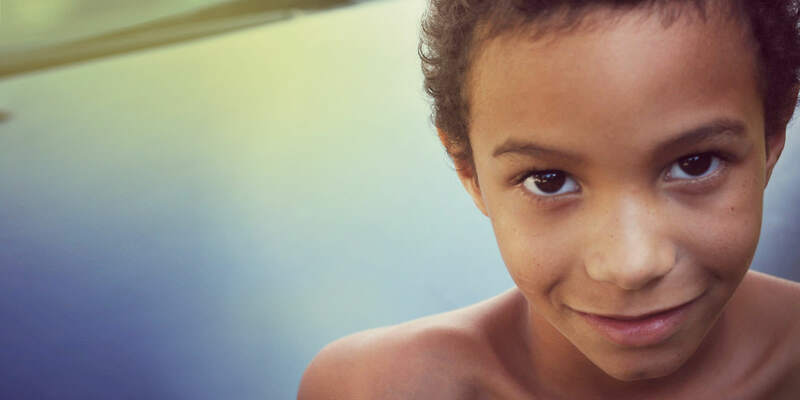 I believe we, as humans, associate the ephemeral with beauty and innocence, and that is what allows us to appreciate the brief blaze of fall colors, the fleeting bloom of early spring flowers, the graceful visit of a hummingbird at our window, the short but blessed lives of butterflies, and the exuberance of early childhood. We associate a burst of joy and energy with such things because we assume such a finite timespan inspires–even requires–an enjoyment of life to the fullest. There are many possible happy endings to any story. The happy ending I deeply wish for is that a cure for HLHS and all other congenital heart defects would magically appear and our children would be promised long, healthy lives free of such formidable conditions. But as time went on, I realized that isn’t the only possible happy outcome of this story. My son teaches me to appreciate not just the rainbows in life, but the rain showers. And isn’t one born from the other, anyway? I don’t like getting wet; he sees joy and play in a rainy afternoon. Kieran reminds me that from hard times, change occurs and new life is born. He reminds me to treasure the fleeting moments, the ephemeral beauty of his childhood, and to notice the temporary joys given to each one of us on this earth. When I have moments of fear, worry, even terror, I remind myself to focus on enjoying the time we have together to the fullest. Now, finally, Easter holds wonderful meaning for me again. 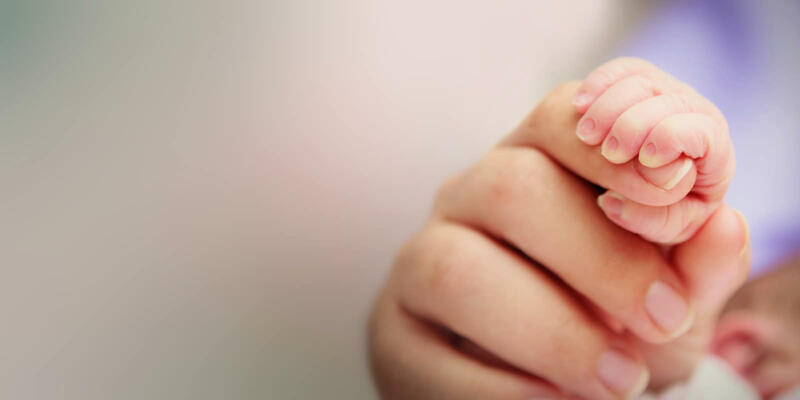 Instead of being blinded by hurt and trauma, I can hold most close and dear the wonderful promises of comfort, of renewal, and of the eternal significance one person’s life can be, no matter how fleeting our time spent here is. Margaret King is a stay at home mom who loves spending time with her family, avidly reading, community gardening, traveling, and exploring the outdoors. 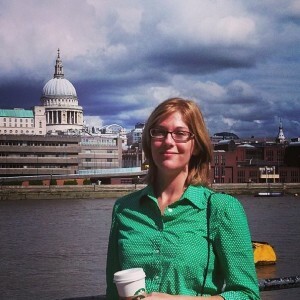 She is currently working on a young adult fiction series and enjoys flash fiction and science fiction writing as well. Margaret has worked in the past teaching English abroad in Nepal and Mongolia, which she counts among the best experiences of her life, along with her heart family journey which she is so happy to share with our readers. 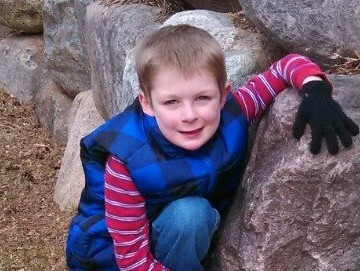 Read more about Kieran’s story, here.